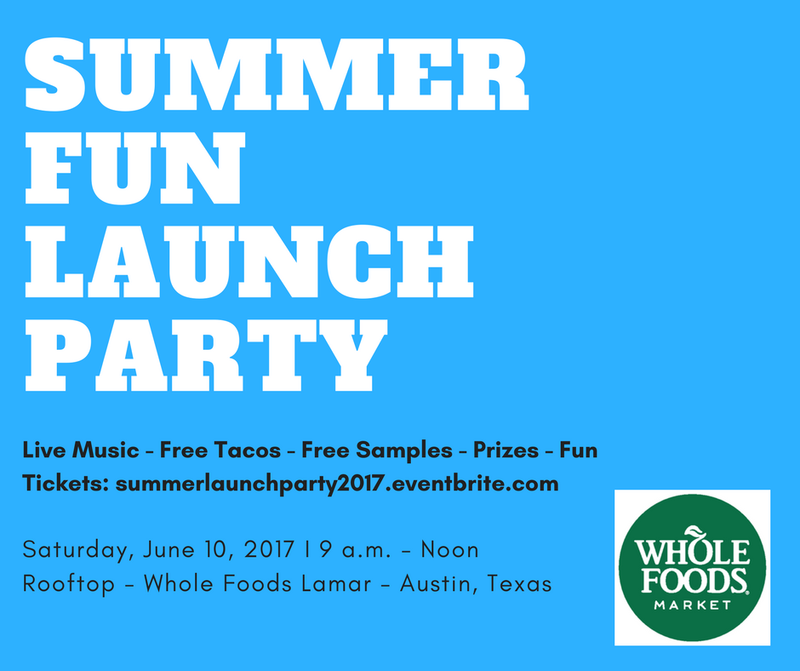 Celebrate the beginning of Summer at the Austin Summer Fun Checklist Launch Party, presented by LiveMom.com, AustinSummerFun.com, and Whole Foods Market, with sponsorship by the Austin Diagnostic Clinic! Worried about what to do with the kids this summer? From events to concerts, dips in swimming pools to out-of-town trips, and visiting must-see attractions in Austin, the Summer Fun Checklist for Kids is packed with fun events and activities to do with your kids all summer long. Get your FREE Checklist for the kids and kick off your summer of fun on the rooftop at Whole Foods Market Lamar in downtown Austin! Enjoy live music by Joe McDermott, Ms. Kat's Music and Movement and Lauren Diamond and Big Wy's Brass Band. Tickets are just $5 per adult, $2 (or a food donation) for kids 13 and under. Proceeds from ticket sales will benefit the Whole Kids Foundation. Help us Stuff the Trampoline with food items that will support the Central Texas Food Bank as they work to feed children who don't have access to school lunch and breakfast this summer. We will be accepting food items in an attempt to fill up a Springfree Trampoline. Cost: $5 adults, $2 for kids ages 13 and under. Bring a food item to be donated to the Central Texas Food Bank - 1 for each child - for a free child's admission.